In today’s world we are always searching for the quickest way possible, and our patience for food is no exception. Snack selecting becomes difficult with such a large choice of these fast foods, often being full of additives or high in bad carbohydrates. Meals like these often leave our bodies feeling sluggish after a quick sugar high, which only momentarily keep us satisfied. For those who are questioning what the best alternatives out there are, we put together five tips for healthy snacking on the go. In order to stay committed to a healthy lifestyle, stocking up on the right foods and keeping them easily available is important for success. Whether in the gym bag, purse, desk drawer or car – the following snacks can be kept in most places and are healthy, filling as well as easy to prepare! 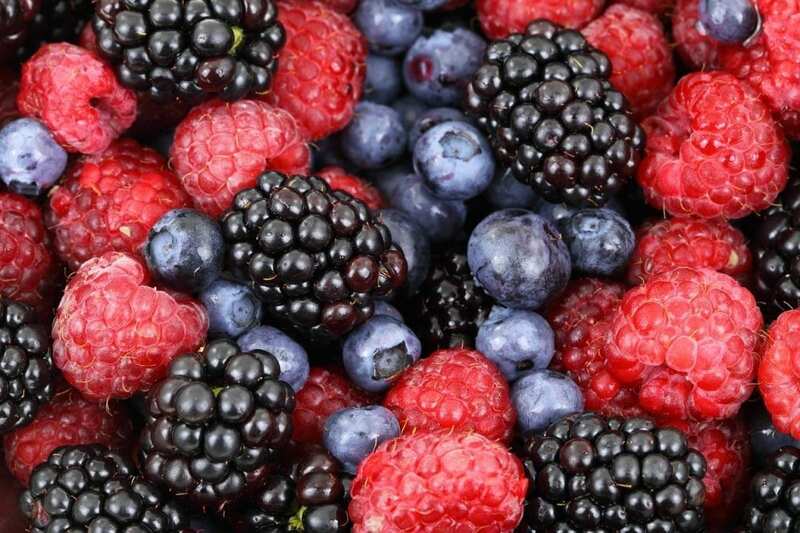 While all fruit is beneficial to your health, it’s hard to look past berries as being one of the best. Small but powerful – berries, especially raspberries, are outstanding for many reasons. Rich in fibre and nutrients they are not only delicious and sweet but full of Vitamin C (just 100g will cover a quarter of your daily requirement!). Smoothies using fresh fruit are also great as a breakfast idea on the way to work, or in the evening as a healthy dessert to replace your usual ice cream. Whole fruit smoothies are full of nutrients, vitamins, and at the same time keeping you hydrated. There are really no rules when it comes to blending flavors, so start experimenting and work out what is best for you! For further protein and healthy fats it’s always beneficial to add one to two teaspoons of chia seeds. As well as keeping you full they are loaded with energy. Four pm and the afternoon slump has well and truly arrived. Instead of going for the obvious option of a sugary drink or muffin, try the ideal snack for brain power: nuts. These small but powerful gems boost brain performance and concentration. Not only can they be eaten at any time, they are perfect for travel and can be kept anywhere in most temperatures. Almonds in particular are a great source of vitamin E and provide the body with protein and minerals. Studies have shown those who eat almonds become less likely to fill up on carbohydrates later, making them an ideal choice for weight loss. Vegetable sticks including cucumber, carrot, peppers and celery are extremely convenient for travel. Get prepping the night before by cutting all your veggies up and loading them into a container. Those who are feeling adventurous might want to also include a homemade dip! Raw vegetables are by far a leader in snacks due to their low calorie content, as well as being rich in nutrients for consistent energy levels and keeping hunger at bay. Now get chopping! The key to a satisfying snack? Protein! Paleo Jerky leads the way when it comes to a quality, high-protein snack, and as mentioned in the name is 100% Paleo-compliant. 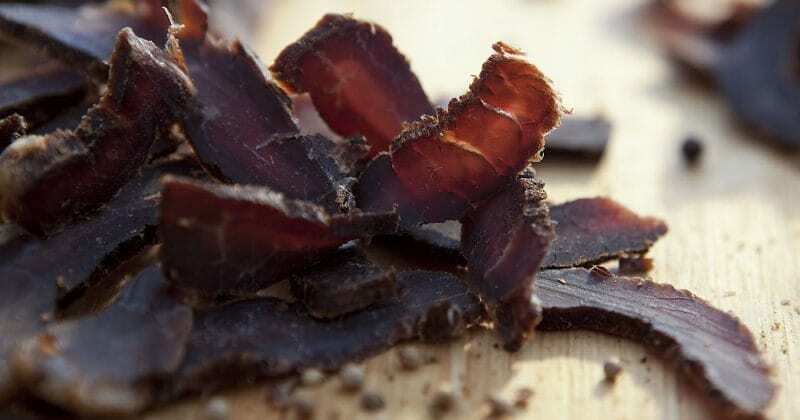 This notion ads a healthy twist to existing forms of jerky from the US and the South African biltong. Paleo Jerky’s Angus cattle are exclusively grass-fed in the Scottish Aberdeenshire. It is here the cattle are grazing for two and a half years under completely natural conditions. For the trademark smoky flavor, a combination of black pepper, salt, coriander, vinegar and Worcestershire sauce are added to the meat. As well as tasting delicious, all ingredients are free of gluten, lactose, flavor enhancers and preservatives. Jerky is also the ideal snack before or after exercise, as meat provides the body with essential proteins for muscle growth and regeneration. 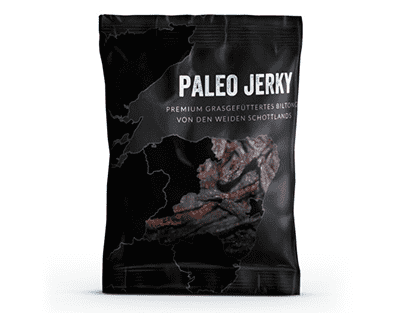 Paleo jerky can be purchased at paleojerky.de (Germany) and paleo-jerky.com (other). It can also be sold as an affiliate programme for boxes. Often half the battle when transporting fresh and healthy food is how to store them in a way that protects the food and flavour. While smoothie containers have come a long way recently, it’s important to always invest in containers that are air tight (to avoid leakage and prevent food from going stale) and to keep the food looking great to keep you motivated as well. Remember delicate foods such as raspberries and strawberries, need to be lined with paper towel first, this will stop them from being bruised. As a general rule of thumb, any fresh food that can’t be eaten immediately after purchase is best kept flat on a plate in the fridge, avoid covering as this can sometimes create mould from the condensation.